Whether you're a weekend player, or disc golf is your life, you need a great bag. When you're looking for the best disc golf bag for you, you really need to take a look at your needs. Whether you're looking for comfort, storage or even a bag with a cooler built-in, there are disc golf bags for everyone. Below I have compiled my reviews of the most popular disc golf bags and backpacks for whatever type of player you are! Large Storage Space: Holds 20 Discs In Main Storage + 2 Putters In The Side Storage. Top Pocket Is Large Enough to Hold Accessories, and Extra Layers of Clothing. Extremely Comfortable: This Bag is Manufactured With a Low Center of Gravity to Keep the Weight Distribution Equal, and the Bag Upright. Also Features Cushioning On Shoulder Straps and Lower Back. Water Resistant Bottom: Set Your Bag Down Anywhere Without Worrying About Wear and Tear. The Ranger by Dynamic Discs was one of the first professional disc golf bags that I ever owned. Although the price is steeper than beginner bags you might find available, this bag really takes it to the next level with it's extremely large storage space, it's comfort even during multi-round days, and it's durability. Overall if you're looking for a professional disc golf bag that will last you years to come, then this is the bag for you! Click for the Lowest Price! 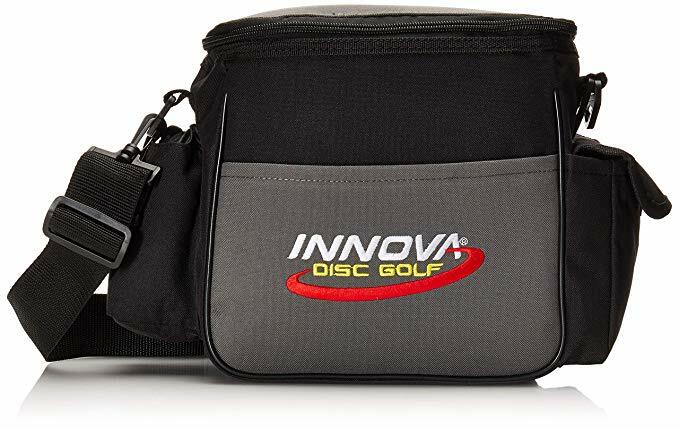 The Innova Champion Disc Bag is the perfect disc golf bag for those who are looking for a lightweight bag that has a medium storage size. 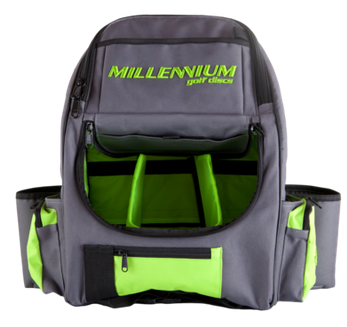 This bag features a large enough center pocket for your discs, and also comes with removable dividers for score cards and pencils. Along with this, one of the greatest features of this bag is the handy towel holder to wipe your hands. Insulated Storage: The center compartment of this backpack is insulated which allows you to keep your food and drinks cold, all day long! Large Capacity: Features 3 stretch disc storage compartments on each side, and 1 quick access disc storage on the front of the backpack. All Day Comfort: Features an extremely comfortable dual strap design which allows you to play all day. Water Bottle Holder: Features a water bottle holder built into the top of the backpack. Durable Bottom: Features a durable and waterproof bottom of the bag, so you can set it down anywhere. Overall this is one of the best disc golf bags on the market because of the easy to access disc storage, which allows you to grab your favorite disc without having to fumble between zippers and pouches. Along with this, this disc golf bag is extremely comfortable, and really does a great job at distributing the weight across your shoulders, which allows you to play all day without fatigue! 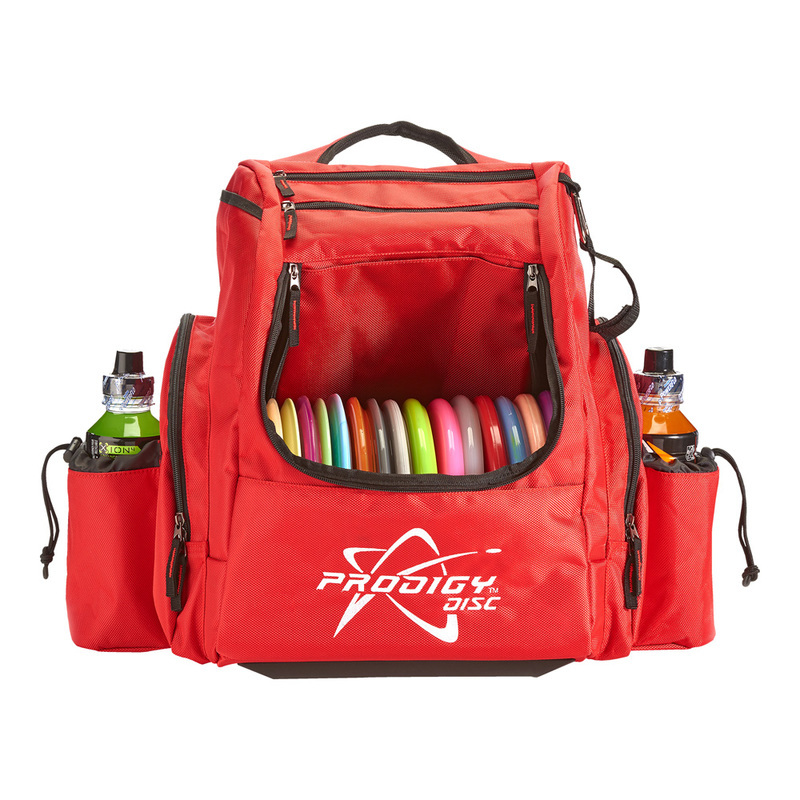 Overall this is was of the best disc golf bag and cooler combos on the market, and it allows you to enjoy a few rounds with all the drinks and food you might need! Storage Space: Features enough disc storage space to hold 25 discs easily, and up to 30 depending on the thickness. Also features enough storage space for keys, drinks, and towel. Durability: This bag is manufactured out of 600D ballistic nylon weave which makes it extremely durable and tough. Waterproof: Features waterproof design which keeps your belongings dry, and also features a durable bottom to keep the bottom of your bag dry and protected. Comfort Level: Extremely comfortable shoulder straps which allows you to play multiple rounds. 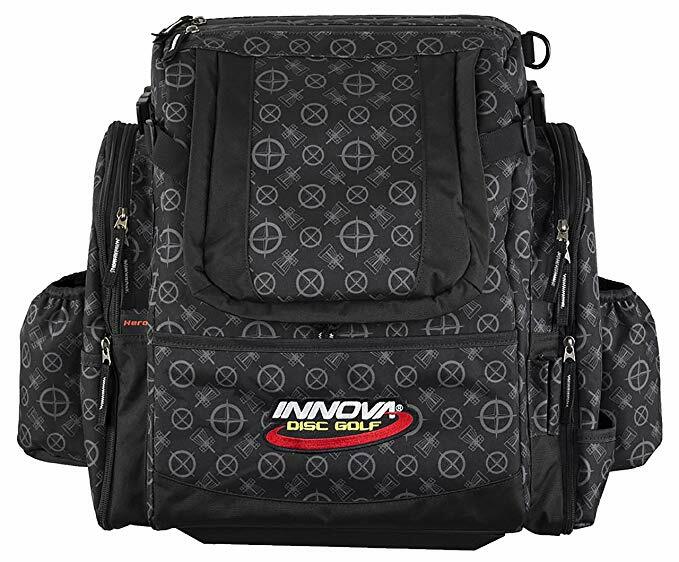 If you're looking for a bag that allows you to hold all the discs you need, then there's nothing better than the Innova Super Heropack bag. 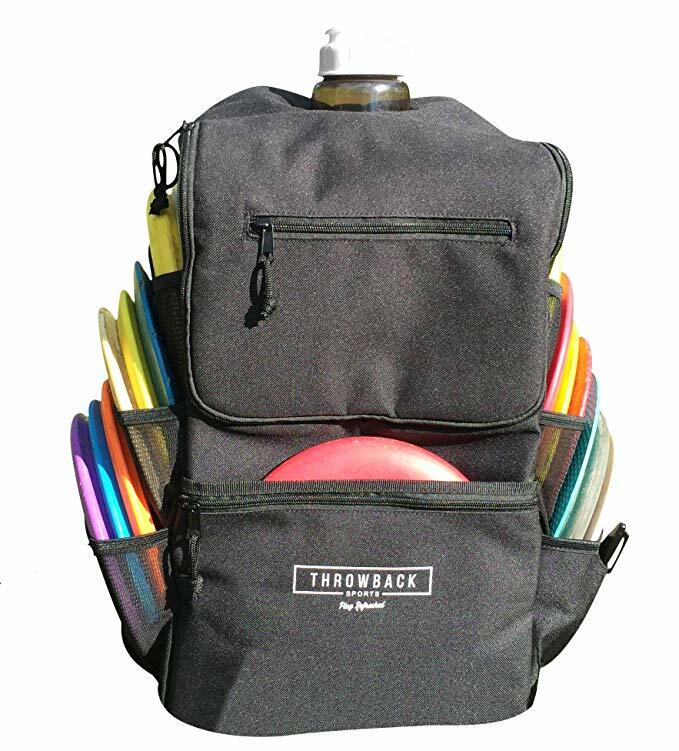 This bag features an extremely large storage space, for discs and belongings, it's extremely comfortable and allows you to play for multiple rounds without any soreness. 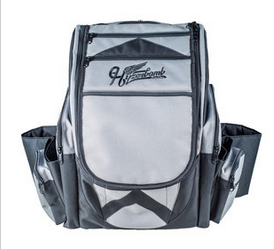 Overall if you are looking for a PDGA grade disc golf bag then this is the bag for you! The storage size is out of this world. Here's a look at Fossa's whole lineu﻿p on their website. 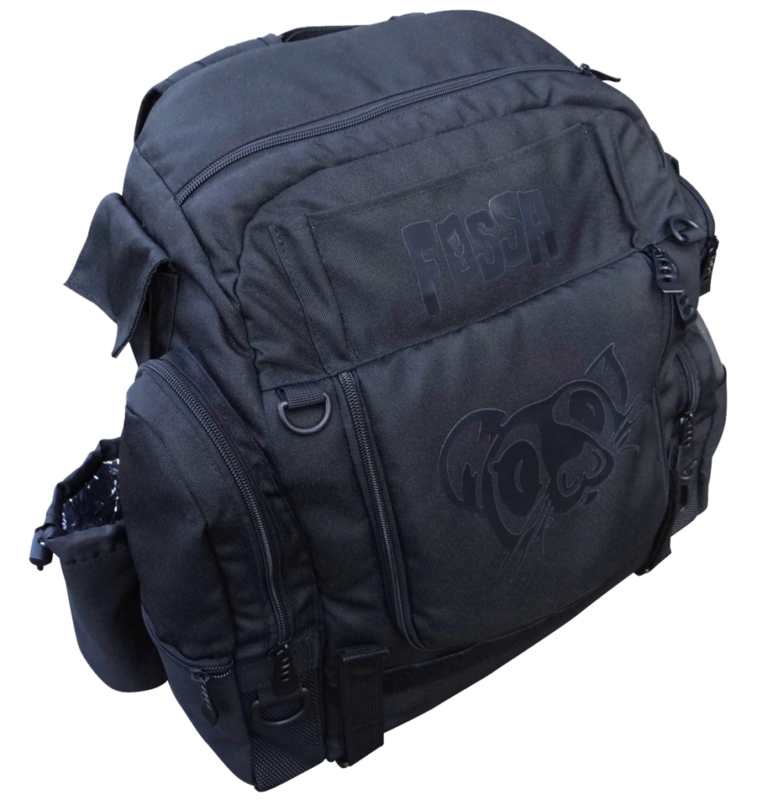 Deep top pockets & large side compartments make the Fossa the best disc golf bag for the price. After a long time waiting, MVP has finally released a quality disc golf bag to the avid disc golf scene. One of the best features about the MVP voyager bag is the sheer amount of customization. The Voyager allows you to customize your bag layout by changing the positions of your closure options. This includes configuring to a fully open design, half open or closed. The personal preference enhances your experience, and the bag also comes with a warranty. 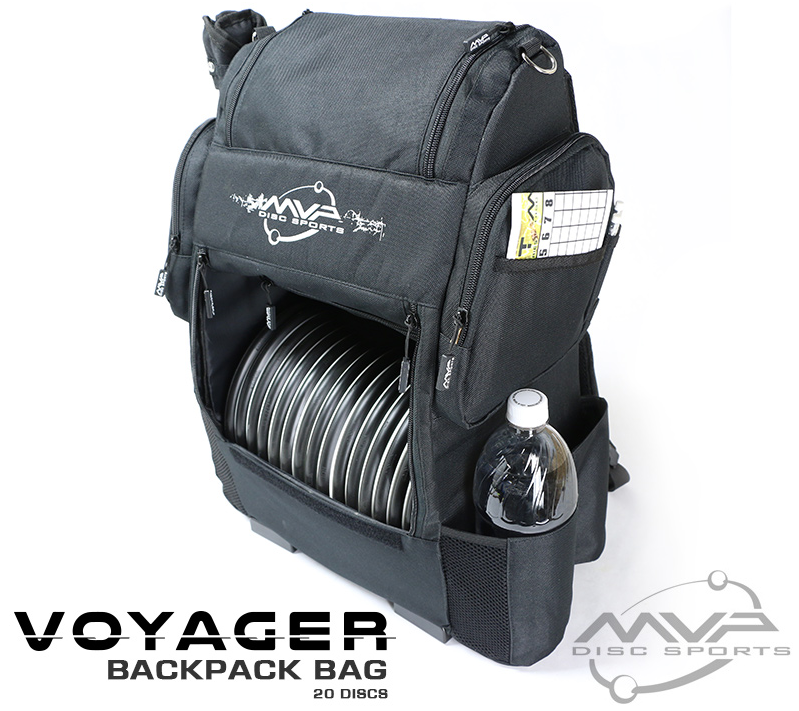 The backpack straps have heavy duty padding to decrease wear & tear.For a 1st run at creating a disc golf backpack, MVP has hit it out of the park with an affordable bag in the Voyager. This disc golf bag is right for its' price. Covering more than the basics, you can rest assured the Prodigy BP-2 will satisfy your needs for more space, as well as ease of use. 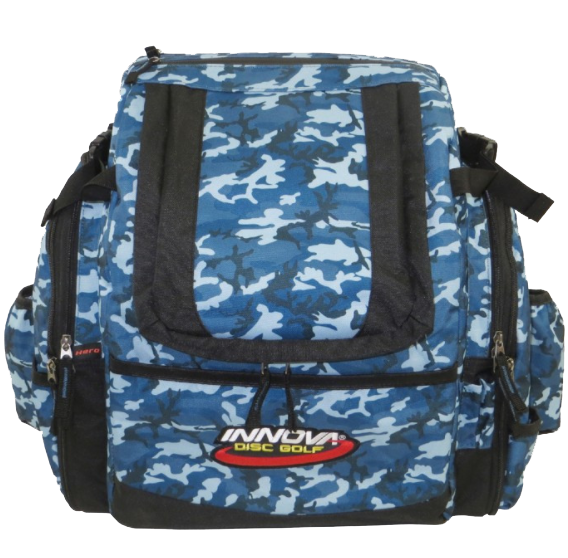 The Innova Super Heroback bag is the first true disc golf backpack from Innova. The design & durability will boast most successful to the multitude. 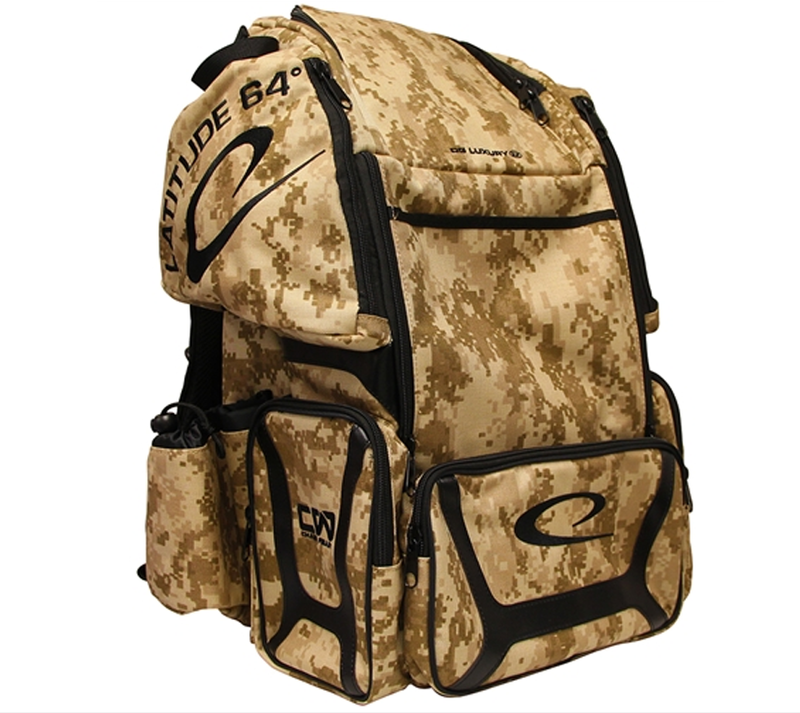 If you are a professional disc golfer, or play more than 2-3 times a week; this bag is for you. You will be able to hold everything you need to carry from scorecards, rainflys and umbrellas. A top 10 review of the best disc golf bags wouldn't be quite complete without taking a look at Grip EQ. The Grip AX-15 is a superior disc golf backpack made for the serious disc golfer. 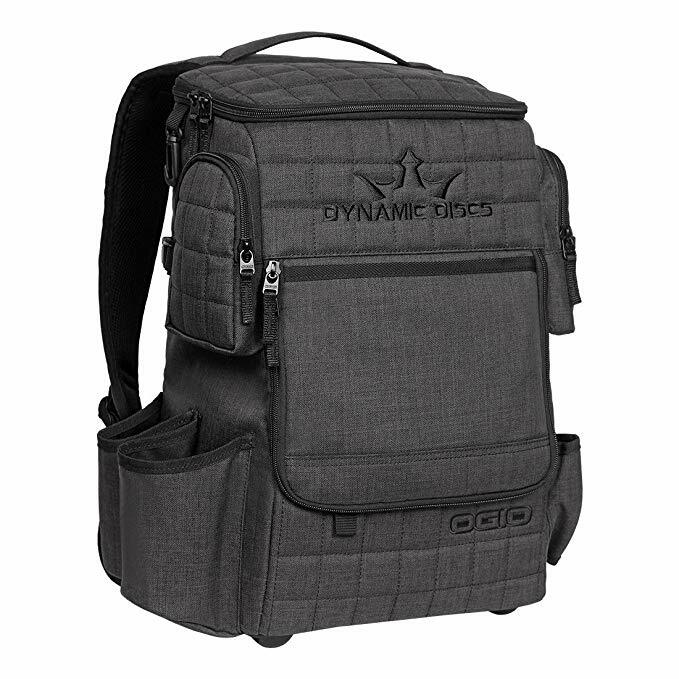 With expandable side pockets for enlarged storage on the fly, the AX-15 is one of the most popular bags out there. The AX-15 by Grip EQ is simply the best disc golf bag on the market. Even though I've spoken positively about every bag in this review; the Grip bags are legit the most durable, high quality disc golf bags out there. Please check it out. Right now, you can order directly online or through an authorized reseller. The most expensive disc golf bag to date, each Octothorpe is made to order. The Octothorpe disc golf Backpack brags high quality material mixed with comfort & common sense for the most intense disc golfers. 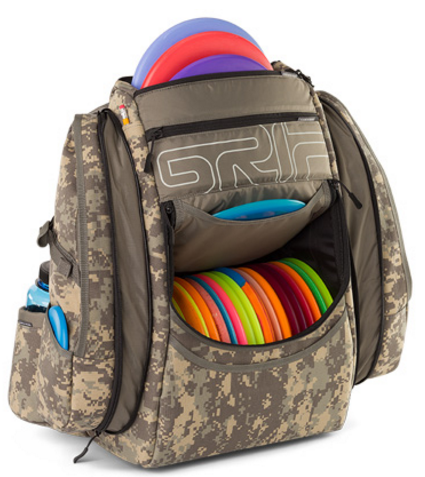 This disc golf bag is so popular that it is has been on constant pre-order for over a year now. The next shipment takes place at the end of the month. If you're a guy that throws a lot of putters, this bag might be for you. The Flak X's unique bag design allows you to store 2 putters on both sides of the bag. Besides that, the disc golf bag has a 3-slot top sleeve that folds down, giving you extra space. You have the option for more disc storage with the additional space in the upper compartment. Velcro styled dividers give you freedom to change your bag layout in a moment's notice. There's enough space in this bag for any serious disc golf player. How Many Discs Do You Carry? How Much Extra Storage Space Do You Need? Do You Want a Built-In Cooler or Radio? How Many Discs Do You Need Your Backpack to Carry? When you're looking for a new bag for your discs, disc carry capacity is a huge thing you need to take notice of. If you are a beginner player and you only have a handful of discs, then you won't need a bag with large storage space. 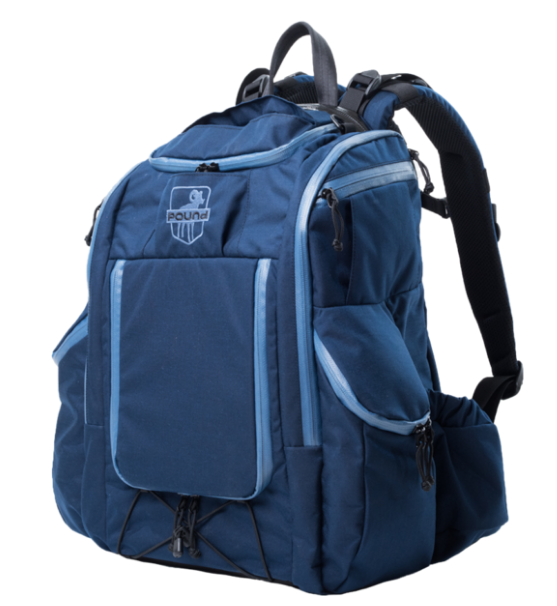 On the other hand, if you are serious player of it you're entering a tournament then you need to ensure that you have the disc you need for any situation you face, so you'll need a bag with 15+ disc storage space. When you are looking at disc golf bags, you also need to take into account how much extra storage space you need aside from disc storage. Generally speaking you'll need space for common accessories like wallet or keys. But, if you are someone that lives in colder weather you might need extra room for an extra jacket, or gloves between holes. That being said, before you purchase your new bag you need to take into account what you'll all be putting into your bag, and how much storage space you'll need. Do You Need a Cooler or Speakers? There are disc golf bags available that are more than a simple disc holder. There are now bags available that have built in coolers for all your drinks and snacks throughout the day, and there are also bags that feature built in speakers to play all your music! When you're looking for bags, there are new products on the market that are designed for anyone and everyone. If you are someone that wants cold drinks then maybe consider getting a bag with a built in cooler, or if you like listening to music while you play, consider a bag with a built in speaker set! No matter what you price range is, or the type of player you are, there are plenty of bags out on the market for you. The bags above are some of the most popular disc golf backpacks out on the market in 2019. If you are looking for a combination of utility, comfort, and functionality, then check out one of the bags reviewed above!